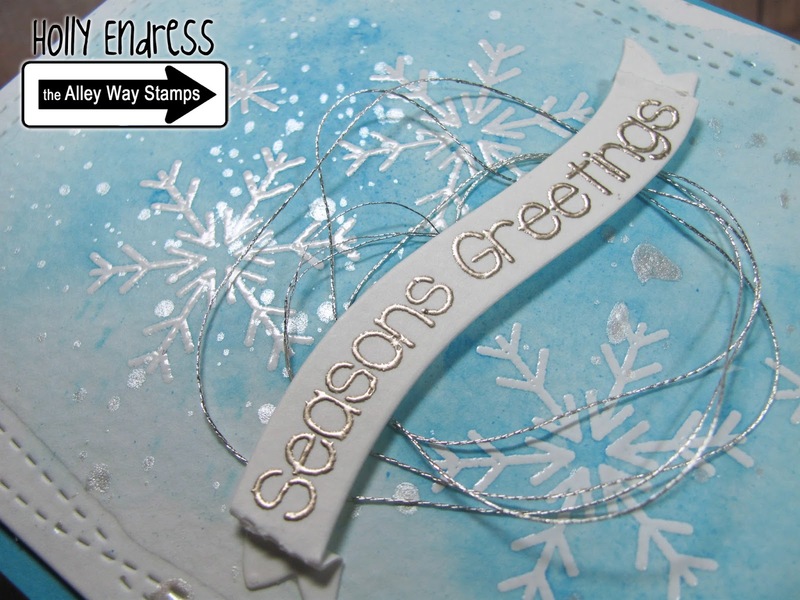 Happy Saturday everyone... today I have a shimmery Christmas card featuring one of the newest sets from the Alley Way Stamps called Mistletoe Kisses. 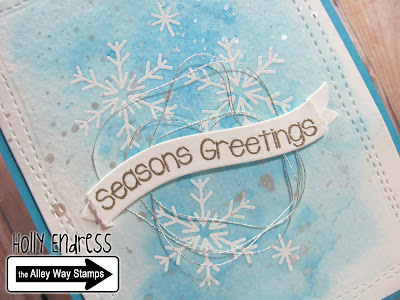 I heat embossed the snowflakes onto a piece of watercolor paper in white and then I created a soft watercolor wash background using some Distress Inks. After the panel was dry I die cut it with the Wonky stitches die from Avery Elle and then I added some splatters of Perfect Pearls.. 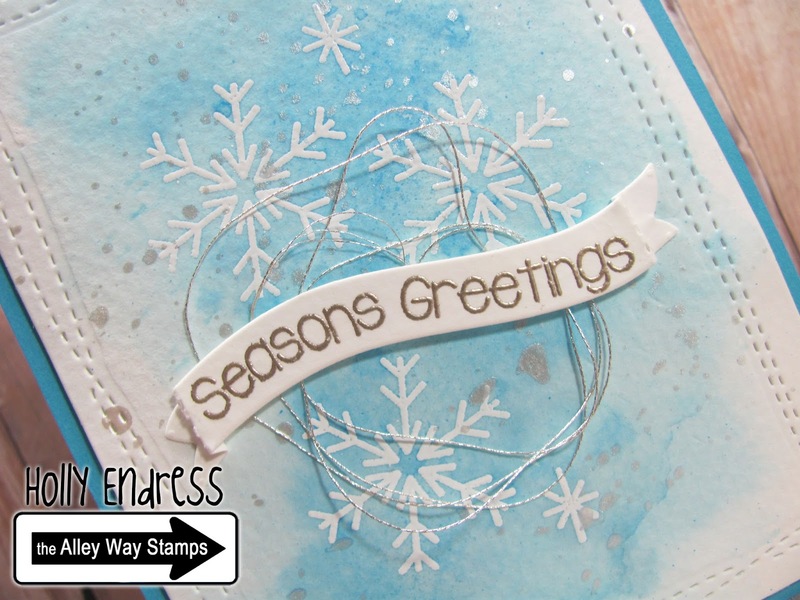 This added a great shimmer to the background. You can see it a little better in the photo below. 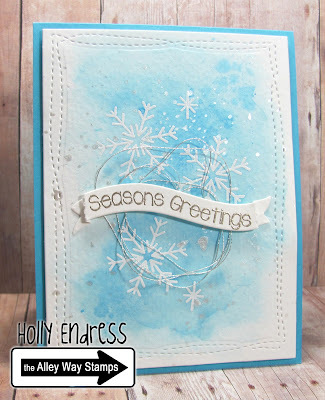 I added the panel to a Turquoise card base and then I die cut the banner from the same die set from Avery Elle and stamped the sentiment from the Mistletoe Kisses set and heat embossed it in Ranger Platinum powder. I added some silver thread in the center and placed the banner over it. 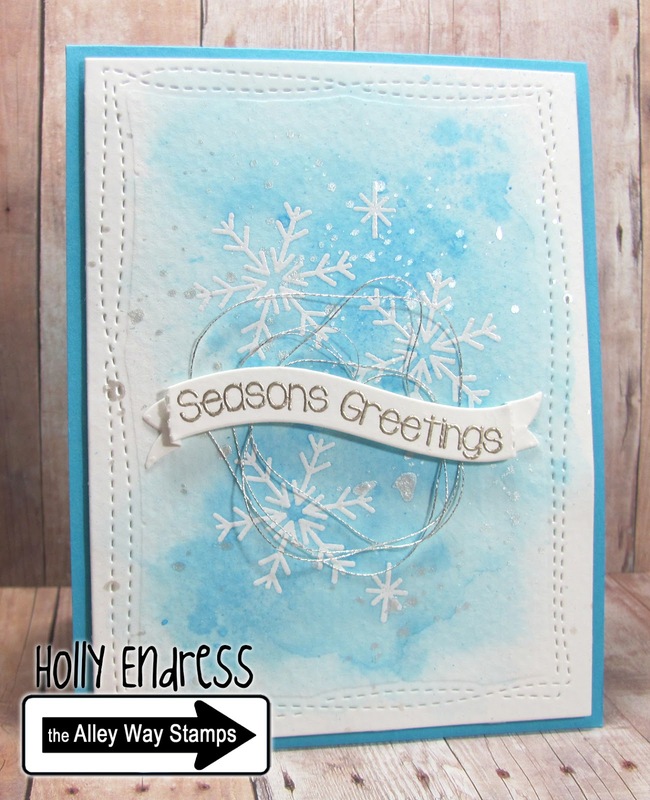 Be sure to head over to the Alley Way Stamps Blog for more great inspiration.. And link up with us all Month long for your chance to win a Free set! This card is beautiful!! 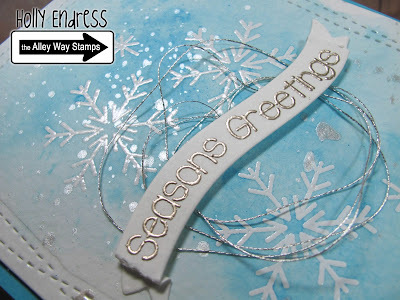 I love the combination of colour, simplicity and shimmer. Thanks so much for sharing.